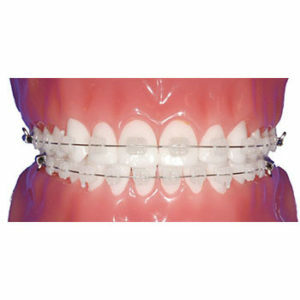 Agile Ceramic brackets are an excellent choice for your patients who prefer a “cosmetic” bracket. They feature unsurpassed durability, translucency and comfort. Agile Ceramic bracket offer strength, functionality and exceptional patient comfort at an economical price, 100% Polycrystalline Ceramic brackets. We use only the best ceramic material to produce brackets that are highly resistant to breakage. Smooth, rounded surfaces to minimize patients discomfort. Unique-bonding surface assures a trouble-free bond while allowing for easy debonding. Custom prescriptions are possible Volume requirements apply.